In a meeting with Revolutionary Guards commanders, Iran’s Supreme Leader Ali Khamenei likened the Iranian missile attack launched from the Islamic republic against ISIS sites in the Syrian province of Deir el-Zour to an “act of worship” during the holy month of Ramadan for Muslims, Iranian news agencies reported on Thursday. Iran’s news agency ISNA said that the meeting between Khamenei and the leaders of the Islamic Revolutionary Guard Corps (IRGC) took place two weeks ago, a few hours after the missile strikes were launched the provinces of Kurdistan and Kermanshah. “What you have done is wonderful, may God accept your good deeds, this is what it means to worship in the month of Ramadan,” he said. June 24 was the last day for the month of Ramadan in 2017. Iran’s missile activities have sparked widespread debate in the West, particularly in the United States, where US government institutions, including Congress have imposed sanctions against Tehran’s missile activities. According to the Persian-speaking war reports, which track Iran’s military intervention in Iraq and Syria, IRGC’s claims were similar to the Russian statements that bombed civilian targets under the pretext of targeting ISIS headquarters. A spokesman for the Iranian Revolutionary Guard, Brigadier General Ramadan Sharif, told the Iranian agency Tasnim that the strikes were coordinated with Damascus, adding that the missiles crossed the Iraqi airspace. Meanwhile, observers believe that Iranian authorities sought to conceal this meeting to make sure that the missiles had hit the right targets. Some reports said four out of the six missiles launched fell in Iraq on its way to Syria. Press reports had previously confirmed that Iran’s rocket attacks on Deir el-Zour in eastern Syria have hit civilian targets, contradicting IRGC’s claims. 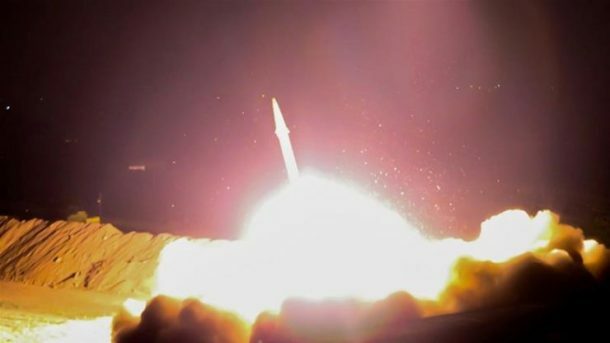 Iranian media had published a clip claimed it showed the launch of the Zulfiqar missiles on ISIS targets, but maps, photographs and video clips broadcasted by Iranian agencies showed no actual sites of the militant group. July 4, 2017, at 7:00 a.m.
Our national independence suggests more than an annual pretext for bluster, bravado and fireworks. It also expresses a complex legal and philosophical concept warranting continuous reassessment. In this connection, despite President Donald Trump’s vast efforts at public deflection via ad hominem attacks, it is high time for Americans to confront the most overriding danger of presidential debility. This singular peril is the conspicuously growing threat of a president who is emotionally and intellectually incapable of rendering well-reasoned nuclear command decisions. As I know personally from almost 50 years of scholarship on such matters, there are various structural protections built into any presidential order to use nuclear weapons. Nonetheless, virtually all of these mostly redundant safeguards would become operational only at lower command levels; plainly, they do not apply at the highest level of national decisional authority. In essence, there exist no permissible or codified legal grounds to disobey a presidential order to use nuclear weapons. To be sure, in principle at least, individuals in the military chain of command could sometimes invoke pertinent Nuremberg obligations to resist crimes of state, but any such last-minute invocation would almost certainly yield to substantially more obvious manifestations of U.S. domestic law, both statutory and constitutional. If an American president were ever to issue an irrational or seemingly irrational nuclear command, the only way for the secretary of defense, the chairman of the Joint Chiefs, the national security advisor and several possible others to meaningfully obstruct this order would be illegal on its face. Conceivably, such informal safeguards might somehow manage to work, but we really still ought to inquire about implementing more suitably predictable and promising institutional impediments. This inquiry should be immediate. There is more. For JFK, following his U.N. Ambassador Adlai Stevenson, the term “quarantine” was chosen because “blockade” was presumptively more belligerent, more of an incontestable casus belli, more patently legitimizing as a cause of possible war. Today, Trump, without any hint of nuance or a scintilla of serious thought, has several-times heaped seat-of-the-pants praise upon pretending irrationality. This unreflective argument was advanced not because the president is in any way personally acquainted with U.S. nuclear strategy, but rather as a “common sense” metaphor drawn viscerally from commercial real estate negotiations. To successfully “play” such a dialectical strategy – to even pry into it interpretively – would call for a far greater depth of historical understanding and analytic subtlety than he could ever be expected to display. In more expressly scientific terms, this means that Trump, in addition to any evident personal debilities he might bring to the delicate game, would have no credible way to determine the probable outcome of his planned or considered actions. None at all. The reason for this uncertainty is straightforward and utterly non-political. It exists because all scientific judgments of probability must be based upon the determinable frequency of pertinent past events. By definition, unless we count JFK’s willingness to escalate in 1962, there simply are no pertinent past events. 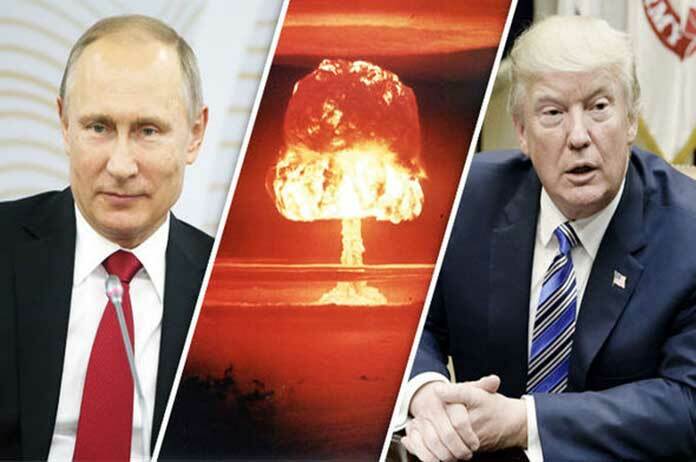 Going forward, the most serious threat of a misconceived or irrational U.S. presidential order to use nuclear weapons flows not from any “bolt-from-the-blue” nuclear attack – whether Russian, North Korean or American – but from an incoherent escalatory process that has run amok. Fortunately, in 1962, Soviet premier Nikita Khrushchev “blinked” early on in the game, and thereby avoided mutual and possibly irrecoverable nuclear harms. Looking ahead, however, especially to any expanding crises with North Korea, escalatory initiatives undertaken by Trump would plausibly express fully ad hoc decision-making. Such initiatives might not meet with any reassuringly Khrushchev-type concession. Such initiatives could end with bitterly unforeseen and unacceptable costs. In principle, at least, it is vital that Trump understand the very great risks of being locked into an escalatory dynamic from which there could be no release other than capitulation or nuclear war. Although the American president might be entirely well advised to seek “escalation dominance” in any upcoming crisis negotiations with the Russians or North Koreans, also required would be a corollary caution to avoid catastrophic miscalculations. Ominously, in this connection, the more numerous the participating national players, the more complicated and perilous any such negotiations would become. Like it or not, at one time or another, nuclear strategy is a bewildering game that Trump will almost certainly have to play. To best ensure that this disinterested president’s calculated moves will be rational, purposeful and tactically cost-effective, it will first be necessary to enhance the formal decisional authority of his most senior military and defense subordinates. At a minimum, the secretary of defense, chairman of the Joint Chiefs of Staff, the national security advisor, and one or two others in pertinent nuclear command positions should prepare for undertaking more fully collaborative judgments in extremis atomicum. Is Trump a Nuclear Madman? U.S. President Donald Trump called North Korean leader Kim Jong-Un a “madman with nuclear weapons” during a telephone call with Philippine President Rodrigo Duterte, according to a transcript of the conversation released by U.S. media on Tuesday. A White House readout of the April 29 call characterized it as a “very friendly conversation.” Days after the conversation, Trump said publicly that he would be “honored” to meet with Kim. But in the call, Trump hinted at a possible dramatic escalation on the Korean Peninsula. “We can’t let a madman with nuclear weapons let on the loose like that. We have a lot of firepower, more than he has, times 20—but we don’t want to use it,” the U.S. leader said, citing “two nuclear submarines” the Pentagon sent to the area last month. Trump also queried Duterte about whether he believed Kim was “stable or not stable.” The Philippine leader responded that their North Korean counterpart’s “mind is not working and he might just go crazy one moment.” Kim has a “dangerous toy in his hands that could create so much agony and suffering for all mankind,” he added. “Seriously, if you want to come over, just let us know. Just take care of yourself, and we will take care of North Korea,” he added. At the start of the call, Trump congratulated Duterte on doing a “great job” in his controversial drug war that has killed thousands of people. I am not trying to suggest that I think Trump believes in nuclear armageddon. Even he would see the futility of a full scale nuclear clash. But what of the relatively small scale tactical nuclear weapons, if used against a commonly-perceived hostile state that is itself wishing to expand its nuclear technology? Could Trump, and those around him, rationalise the use of a small tactical weapon to wipe out an adversary’s nuclear facility, particularly if it were underground? No surprise then, when the Saudis and Israelis both lobbied the Americans for an end to Morsi resulting in a “popular revolution” in Egypt, the ousting of Morsi and the election of a new secular general, Abd El-Fattah El-Sisi, who quickly attempted a gift of disputed islands to Saudi Arabia. So the Israeli and Saudi governments agreed on who should rule Egypt. Saudi Arabia and Egypt are growing closer. The Americans sell the Saudi regime weapons as the Saudi Arabians are fighting Iran in a proxy war in Yemen. Iran and Saudi fight an economic war over oil supply and price. Iran needs an oil price north of $70 (£55) a barrel to balance their budget. Saudi will only agree to constricting supply and rise prices if the Iranians agree to their sanctions level output, limiting their revenue. Neither agree, so Opec is in stalemate. Oh my, the coincidences. And if Trump were minded to drop a small tactical nuke to wipe out Iran’s nuclear facility, when would he do it? That depends. Does he need “Jim-Bob” in southern Arkansas to vote for the Republicans in the 2018 mid-terms, or vote for Trump in the 2020 Primaries? I think Iran has a little over two years. I’ve travelled to both Iran and North Korea. I liked Iran. I found it a safe and friendly country; the biggest risk I experienced was either being swamped by hospitality or drowned in sweet tea. But today Iran is boxed in economically, militarily and politically. It has no friends left. Trump could drop a small nuke there and very few neighbours would bat an eyelid. Many would quietly applaud. The nation has no allies. To prevent an attack it will likely need to either transparently drop its own nuclear programme or persuade Putin to step in on its behalf. Iran has reasons to be very worried indeed. The Senate Armed Services Committee hosted a hearing last week on defense nuclear acquisition programs and doctrine. Gen. Robin Rand, commander of the Air Force Global Strike Command, offered a robust defense of the United States’ follow-on intercontinental ballistic missile. He argued that extending the life of the currently deployed Minuteman III ICBMs would not be cheaper than building a follow-on ICBM. Reliability and survivability are increasingly challenged in the current system, which was developed during the 1960s and 1970s. Rand mentioned how U.S. ICBMs complicate adversaries’ targeting because of their quantity and geographic dispersion, also mentioning how they provide the president with a timely response option. 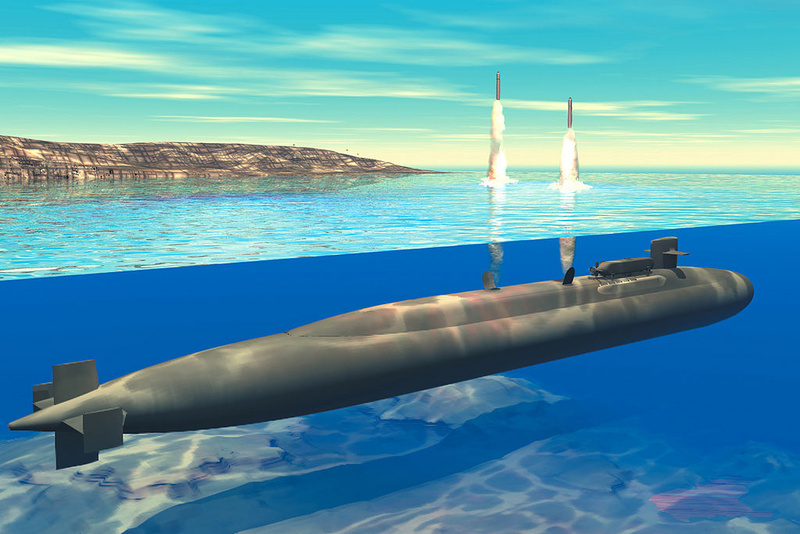 In combination with other elements of the nuclear triad, strategic submarines, and bombers, the system forces adversaries to spread their resources to take into account each of the legs of the triad as opposed to focusing on defeating one or two strategic systems. Later, Robert Soofer, deputy assistant secretary of defense for nuclear and missile defense policy, argued that Russian violations of the Intermediate-Range Nuclear Forces Treaty are not sustainable and that the United States must take action and increase pressure on Russia on this issue. He is correct. Russia has been using its violation to sow political discord within NATO in an effort to drive a wedge between the United States and its allies. Allies continue to be critical to U.S. national security interests. Additionally, in the upcoming Nuclear Posture Review, the administration will have a unique opportunity to reassess a number of the Obama administration’s misguided nuclear weapon policies insofar as they were based on an assumption of a fundamentally different, and friendlier, relationship between the two countries. North Korea’s ballistic missile program has been a focus of concern for the committee as well. With its latest ballistic missile test, North Korea demonstrated progress on the re-entry vehicle that could be used to deliver a nuclear weapon. The United States finds itself consistently underestimating North Korea’s ballistic missile capabilities and the speed with which they are developed. The United States currently fields the ground-based midcourse defense interceptors, the only system to protect the U.S. homeland from the North Korean long-range ballistic missile threat. The program achieved a successful intercept last week, for the first time ever demonstrating a capability to shoot down an ICBM target. Vice Admiral Terry Benedict, director of the U.S. Navy Strategic Systems Programs, offered a strong defense of the sea-based strategic deterrent. The United States is planning on replacing the Ohio-class strategic submarine with the Columbia-class strategic submarine in the future. Submarines are the most survivable leg of the strategic triad. To help manage cost concerns, the Navy and the Air Force are exploiting missile commonality. Additionally, the United States and the United Kingdom continue their cooperation on the Trident D-5 submarine-launched ballistic missiles. Finally, James MacStravic, performing the duties of undersecretary of defense for acquisition, technology, and logistics, offered a strong defense on the need to continue nuclear weapons modernization and recapitalization of the nuclear triad. Stability of the supply chain and modernization of the command, control, and communications networks were other topics of a great interest to members of Congress. Rightfully so. The United States must ensure secure and reliable communications, including in crisis situations. Similarly, it is essential that microchips and electronics in the upcoming modern systems are not compromised. In sum, there is no shortage of challenges for the Department of Defense, the administration, and Congress as modernization of the nuclear enterprise continues. The hearing outlined important challenges that the nuclear weapons modernization program will face in the future. The administration and Congress must work together to ensure the U.S. nuclear arsenal remains safe, secure, reliable, and militarily effective. No country on earth would survive should the world’s most powerful nuclear states unleash their atomic weapons, Vladimir Putin has said. His remarks form part of a series of interviews with American film director Oliver Stone. The question of whether the human race would survive a potential global nuclear war has tormented the minds of generations, and indeed Stone, who wondered if the Russian president believes the US might emerge victorious if such a conflict were to break out. “In a hot war is the US dominant?” the American director asked the Russian president. “I don’t think anyone would survive such a conflict,” Vladimir Putin replied in a short Showtime teaser, a precursor to a documentary titled ‘The Putin Interviews’. Putin then proves he has the pulse on Russia’s military strategy and tactics. As part of the preview, the clip shows Stone and Vladimir Putin in the situation room where the Russian leader demonstrated that he is on top of developments playing out in the Syrian military theater. “Pilot says he is going to make another attempt,” Putin tells the US director while showing him a live feed from a military jet on a smartphone. Stone then asks if there’s “any hope of change” in US-Russian relations, which both countries have acknowledged are at the lowest point since the Cold War. “There is always hope. Until they are ready to bring us to the cemetery and bury us,” Vladimir Putin replied. Apart from the teaser, Showtime has also uploaded two separate interview segments that touched on Russia-NATO relations and the numerous assassination attempts on the Russian president. “Once a country becomes a NATO member, it is hard to resist the pressures of the US. And all of a sudden any weapons system can be placed in this country. An anti-ballistic missile system, new military bases and if need be, new offensive systems,” Putin explained. Russia, Putin says, is forced to take countermeasures over the ever-increasing NATO threat and armed military build-up on Russia’s borders. “We have to aim our missile systems at facilities that are threatening us. The situation becomes more tense,” Vladimir Putin said. In the third clip, published Tuesday by Showtime, Stone claimed he had credible information that the Russian leader survived at least five assassination attempts, which Putin implied were successfully thwarted by his security team. “What is your fate sir, do you know?” Stone asked. “Only God knows our destiny – yours and mine,” the President replied. Nevertheless, despite clear evidence in favor of deploying nuclear weapons, modernizing the US arsenal has long been a cost concern and strategic liability for US strategic planners. In fact, Weinstein said there is concern that both Russian and Chinese nuclear arsenals are now more modern and advanced than existing U.S. Minuteman IIIs. Citing a Congressional Research Service report, a story in National Defense Magazine says the GBSD the program is expected to cost $62 billion from 2015 through fiscal year 2044. That breaks down to about $14 billion for upgrades to command-and-control systems and launch centers, and $48.5 billion for new missiles, the report says. Air Force officials say the service will award some contracts as part of its ongoing evaluation of formal proposals from three vendors competing to build hundreds of new, next-generation Intercontinental Ballistic Missiles designed to protect the US homeland well into the 2070s and beyond, service officials said. Submissions from Northrop, Boeing and Lockheed are now being reviewed by Air Force weapons developers looking to modernize the US land-based nuclear missile arsenal and replace the 1970s-era Boeing-built Minuteman IIIs. Service officials told Scout Warrior a contract award is expected later this year. The new effort to build ICBMs, what the Air Force calls “Ground Based Strategic Deterrence,” aims to construct durable, high-tech nuclear-armed missiles able to serve until 2075. The new weapons will be engineered with improved guidance technology, boosters, flight systems and command and control systems, compared to the existing Minuteman III missiles. The weapon will also have upgraded circuitry and be built with a mind to long-term maintenance and sustainability. “Solid rocket fuel ages out after a period of time. You need to have an upgraded guidance package for sustainability and warfighting requirements. Looking at the current technology, it has moved faster than when these were first developed. Civilian industry has leapfrogged so we want the ability to use components that have already been developed,” , Lt. Gen. Jack Weinstein, Deputy Chief of Staff for Strategic Deterrence and Nuclear Integration, said in an interview with Scout Warrior several months ago. If one were to passively reflect upon the seemingly limitless explosive power to instantly destroy, vaporize or incinerate cities, countries and massive swaths of territory or people — images of quiet, flowing green meadows, peaceful celebratory gatherings or melodious sounds of chirping birds might not immediately come to mind. After all, lethal destructive weaponry does not, by any means, appear to be synonymous with peace, tranquility and collective happiness. However, it is precisely the prospect of massive violence which engenders the possibility of peace. Nuclear weapons therefore, in some unambiguous sense, can be interpreted as being the antithesis of themselves; simply put – potential for mass violence creates peace – thus the conceptual thrust of nuclear deterrence. Weinstein cited famous nuclear strategist Bernard Brodie as a way to articulate the seismic shift in thinking and tactics made manifest by the emergence of nuclear weapons. Considered to be among the key architects of strategic nuclear deterrence, and referred to by many as an “American Clausewitz,” Brodie expressed how the advent of the nuclear era changes the paradigm regarding the broadly configured role or purpose of weaponry in war. The success of this strategy hinges upon the near certainty of total annihilation, should nuclear weapons be used. ICBMs are engineered to fly through space on a total flight of about 30 mins before detonating with enormous destructive power upon targets. “If another nation believes they can have an advantage by using a nuclear weapon, that is really dangerous. What you want to do is have such a strong deterrent force that any desire to attack with nuclear weapons will easily be outweighed by the response they get from the other side. That’s the value of what the deterrent force provides,” Weinstein said in an exclusive interview with Scout Warrior. Althought Weinstein did not take a position on the pior administration’s considerations about having the U.S. adopt a No First Use, or NFU, nuclear weapons policy, Air Force Secretary Deborah James has expressed concern about the possiblity, in a news report published by Defense News. Limiting the U.S. scope of deterrence, many argue, might wrongly encourage potential adversaries to think they could succeed with a limited first nuclear strike of some kind. It is within the context of these ideas, informing military decision-makers for decades now, that the Air Force is in the early stages of building, acquiring and deploying a higher-tech replacement for the existing arsenal of Minuteman III ICBMs. Weinstein pointed out that, since the dawn of the nuclear age decades ago, there has not been a catastrophic major power war on the scale of WWI or WWII. Upgrading U.S. nuclear missiles, as Russia and China modernize, would cost $85 billion. Is it time to quit the ICBM race? The sky over the turbulent Pacific was pitch-black earlier this month when a Minuteman III missile blasted off from Vandenberg Air Force Base on a column of fire that illuminated the California coastline for miles. The unarmed missile thundered past the outer reaches of the atmosphere, tracing a fiery arc around the globe before plunging into a lagoon at Kwajalein Atoll in the South Pacific, 4,200 miles away. The Minuteman III tested May 3 near Lompoc is a critical element of U.S. defense strategy: a fleet of intercontinental ballistic missiles capable of obliterating any spot on Earth with a nuclear blast in 30 minutes or less. Although the flight test proved Minuteman is still capable of performing its mission, major components of the missile and the control centers used to launch them are Cold War-era relics that have become increasingly expensive to maintain. Spare parts are in such short supply that the military has been known to pull them from museums. At the same time, Russia and China are upgrading their nuclear capabilities. Pakistan, India and Israel continue to build new nuclear weapons and delivery systems. Air Force officials worry increasingly about the Minuteman’s ability to penetrate adversaries’ future missile defense systems. The result is one of the most strategically complex and financially difficult challenges the Trump administration faces in making good on the president’s pledge for a “great rebuilding of the armed forces,” including the nation’s aging nuclear arsenal. The Pentagon has begun work to replace the Minuteman fleet with a new generation of missiles and launch control centers, but the plan would cost an astronomical $85 billion, one of the most expensive projects in Air Force history. Two defense firms will be awarded three-year contracts for $359 million each this year, with a test flight program scheduled for launch in the mid-2020s. The tremendous expense of deploying a missile fleet capable in the long term of countering nuclear threats has spawned a debate in the American military establishment: How essential, in the 21st century, are the 400 strategic missiles embedded in silos deep under the plains of Colorado, Nebraska, Wyoming, Montana and North Dakota? The discussion has opened for review the very essence of the nation’s nuclear defense strategy: the “triad” deployment of nuclear weapons, in submarines, strategic bombers and land-based silos, to guarantee the ability to retaliate against any nuclear strike. 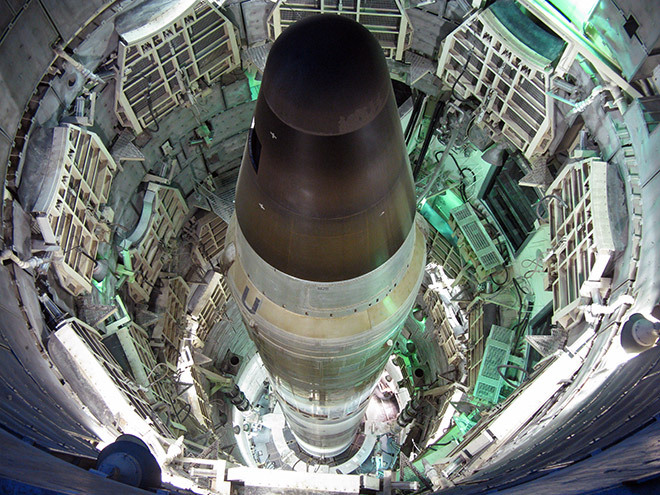 The Minuteman III was developed in the 1960s and first deployed in 1970. The nearly 50-year-old hardware is still working fine, but not without extensive maintenance. At its peak in about 1990, the Air Force fielded 450 Minuteman IIs, 500 Minuteman IIIs and 50 Peacekeeper missiles, a total of 1,000 ICBMs that had more than 2,000 warheads on them. Today’s 400 Minuteman missiles each field a single warhead. Pentagon officials want to replace almost the entire nuclear arsenal, at a cost of up to $1 trillion. But no component has raised more questions than the replacement of the ICBM fleet, which critics have said is no longer crucial to preventing a nuclear war. The argument for eliminating ICBMs is stronger than at any time in the past. Advocates of that strategy say submarine-based missiles and strategic bombers have improved their capability and are now more than potent enough to deter an enemy attack. Former Defense Secretary William J. Perry fired the opening salvo last year, calling for phasing out the entire land-based ICBM force. He argued that its continued deployment is too costly. And with the missiles on continuous alert in order to be able to launch instantly if an enemy launch is detected by satellites and radar, a mistake or faulty warning could trigger an accidental nuclear war. Perry has not been alone in expressing doubts about the ICBM program, but senior Pentagon leaders have always been persuaded to keep it. Former Defense Secretary Chuck Hagel called for elimination of ICBMs before entering office and then changed his mind. Trump’s Defense secretary, James N. Mattis, questioned the need for the missiles in 2015 when he was a four-star general. But as soon as he was nominated, he began supporting a full-blown modernization of the triad. The reevaluation of the role of ICBMs in America’s defense comes in an era when nuclear weapons are proliferating, not fading away. GlobalSecurity.org director John Pike, who has analyzed U.S. military systems and strategies for more than three decades, says critics “are gaining no traction” in calling for the elimination of the ballistic missile fleet. The Air Force makes the case that replacing the Minuteman will be less costly than trying to keep its Elvis-era fleet in perfect working order for decades into the future. The nation’s strategic forces represent a small slice of defense spending, while providing a large measure of security against an unprovoked attack on U.S. soil. Air Force leaders also worry that Russia, China and North Korea are investing in new nuclear missile systems that would erode the military edge that the Minuteman has provided with its reliability and accuracy. At some point, they say, the Minuteman’s ability to penetrate future missile defense systems could be compromised. Eliminating the more than 400 ICBMs and their launch capsules as targets, Stoss said, would allow an enemy to wipe out the rest of the nation’s nuclear deterrent — three strategic bomber bases and two strategic submarine bases — with just five nuclear weapons. That leaves the U.S. vulnerable to attack even from “nations with limited arsenals,” such as North Korea, Stoss said. Beyond the military arguments, there is the question of cost. Numerous Pentagon officials and outside experts have warned that the current approach cannot be sustained without significant and sustained increases to defense spending or cuts to other military priorities. The costs for modernization would peak during the mid-2020s and overlap with large increases in projected spending on other weapons that address more immediate threats, such as counter-terrorism, cyberattacks, and space-based technology. Two years ago, the Pentagon said the new ICBM system, known as the Ground-Based Strategic Deterrent, would cost $62.3 billion. But outside estimates put it far higher. The Pentagon’s independent office of Cost Assessment and Program Evaluation said last year the plan could cost at least $85 billion. The costs are likely to climb because of the technological complexity of the program. By comparison, the last time the U.S. fielded a new ICBM, the massive, 10-warhead MX in the mid-1980s, the cost was an inflation-adjusted $900 million per missile. The new, smaller ICBM and its launch centers will optimistically average out to about $132 million per missile. Though the MX cost was elevated by its large size and small production numbers, just 50 deployed missiles, it saved money by using the existing launch complex. Col. Heath Collins, Air Force program manager for the ICBM replacement program, said a new missile program will need an all-new command-and-control system, meaning full replacement of the old analog computers that now operate the Minuteman system — and that’s only the start. One of the biggest costs will be the guidance system, notes Aloysius G. Casey, a retired general who was the program manager for the MX missile. The MX guidance system, which cost $10 million to $12 million per missile, had 19,401 parts packaged inside a device the size of a basketball. The device was so accurate that engineers at the time said it could detect variations in the rotation of Earth while it was on the silo, relying on mechanical gyroscopes suspended in a fluid. Today, it would be vastly cheaper to use a GPS guidance system, Casey said. 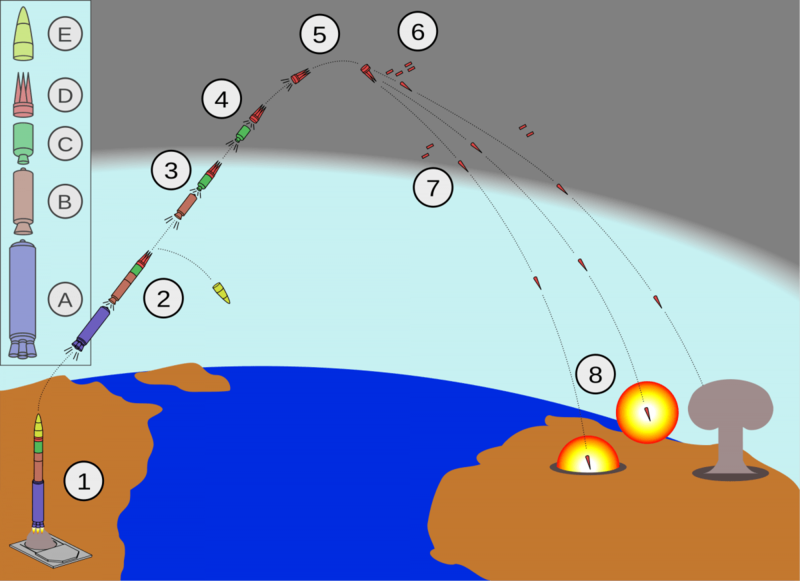 The satellite-based navigation system is used on a large range of conventional weapons systems and is a standard feature of smartphones. But critics fear that GPS satellites could be attacked or their signals jammed or spoofed. The upshot is that any guidance system is almost sure to require a massive expenditure. As the Pentagon begins the 2017 Nuclear Posture Review a great deal of focus will be placed on how to modernize each leg of the nuclear triad, which on all fronts is aging and must be replaced. Each country that has nuclear weapons in its arsenal has started a nuclear weapons program or modernized their programs and delivery systems with the exception of the United States. The United States is a part of an international community with a dependency on these weapons that is not going away. Therefore, the nation must maintain a safe and reliable nuclear triad to deter against the only existential threat to the nation. The portion of the nuclear triad many forget when discussing nuclear triad modernization is the nuclear command, control and communications (NC3) systems. These systems are the “glue” that ties the triad together. They allow the U.S. president to communicate with his senior advisors, monitor potential attacks on the nation and—if necessary—order the release of a nuclear weapon. The NC3 system is essential in ensuring nuclear weapons can be safely and reliably released when ordered, regardless of the nature of the crisis or the damage incurred by the nuclear forces. The majority of the nation’s NC3 systems are maintained and operated by the Air Force. It is made up of a collection of systems and platforms to achieve its goal of allowing for senior-level decision on nuclear-weapons employment. The systems link the fixed National Military Command Center located in the Pentagon and the fixed Global Operation Center at Strategic Command in Omaha, Nebraska with the mobile command centers located on an airborne E-4B National Airborne Operations Center (NAOC) or an airborne Boeing E-6B Mercury “Take Charge and Move Out” Air Command Post. These facilities and aircraft also allow senior leaders to monitor world events and act upon them outside of a nuclear crisis. The NC3 system does have redundant components, but they are primarily designed to ensure the nation’s nuclear arsenal can be employed even if the fixed-command centers are destroyed. For example, the E-6B can control the launch of a Minuteman III intercontinental ballistic missile from the air while simultaneously ordering a submarine or bomber to launch a nuclear weapon. Also, an E-4B NAOC aircraft is continuously ready to launch within minutes from randomly selected bases to ensure key national-security leaders survive and can continue to make decisions about how to deploy the U.S. military. Finally, other NC3 systems use a combination of satellites, radars and processing systems to identify launches and missile attacks that could be directed toward North America or one of the U.S. allies around the world. Recently, the functionality of this system is displayed as it is used in monitoring missile launches from North Korea. The reason the United States has a nuclear triad is to ensure no adversary can eliminate the nation’s entire nuclear arsenal during an attack. The adversary is deterred from attacking the United States because the enemy must realize the United States will always have a means to strike back with the devastating force of nuclear weapons. However, without the NC3 system working properly, the United States does not have a functioning nuclear triad, and that counterstrike ability is lost. The NC3 system functions are vital to ensure the United States maintains its capacity for deterrence. The investment General Wilson spoke of involves modernization of the E-4B NAOC aircraft, which began its role in 1980, improving early-warning radar systems, and upgrading the communication systems that link the triad together. Theses modernization efforts will cost the Defense Department approximately $40.5 billion over the next decade. These modernizations to the NC3 systems is small compared to other planned nuclear-modernization efforts for each of the other legs of the nuclear triad.